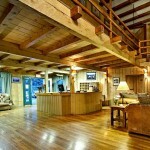 Jackson Hole Lodge is not available for online booking. Please submit an inquiry or call our agents to get pricing and availability information. 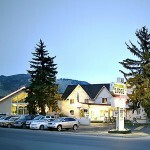 Experience our Jackson Hole lodging with our range of guestrooms and suites. Standard lodge rooms are spacious and offer one or two queen beds, LCD televisions, single baths and coffee makers. One and two bedroom suites are sprawling with full kitchens, washers/dryers, full baths, fireplaces and some offer jetted tubs for exceptional Jackson, WY accommodations. All rooms feature complimentary wireless Internet service. 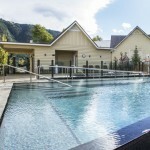 Standard Lodge Rooms- The standard lodge rooms in Jackson Hole feature one or two queen beds, a full bath, air conditioning, coffeemaker, LCD television, wireless Internet access, and direct dial phone. 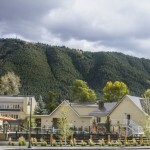 Along with exceptional comfort and a range of amenities in our Jackson Hole rooms, the affordability of these options in Jackson Hole WY lodging make them the perfect choice when traveling for business or leisure. Deluxe Queen Suite- One Queen Bed. This suite includes extra amenities such as a wood burning fireplace, full bath, fully equipped kitchen, wireless internet access, direct dial phone, and LCD TV/DVD player. One-Bedroom Suite- The one bedroom suite sleeps up to 6 people with either one king or two queen sized beds and a queen sofabed in the living room. This Suite includes 1 1/2 bathrooms, jetted tub, shower, washer/dryer, full kitchen, coffee maker, dishwasher, garbage disposal, microwave, fireplace, private deck, wireless internet access, remote cable LCD TV/DVD player and direct dial phone with data port. Two-Bedroom Suite- For even more space, choose our two-bedroom Jackson Hole suites that accommodate up to 8 people. With 2 floors, these are the most accommodating in our options for lodging in Jackson Hole lodging, offering a king size bed in master bedroom, 2 queen size beds in second bedroom, queen sleeper sofa in living room, 2 1/2 baths, tub, shower, washer/dryer, full kitchen (with coffee maker, dishwasher, garbage disposal and microwave), fireplace, private deck, wireless Internet access, remote cable LCD TV/DVD Player and direct dial phone with data port. 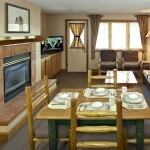 For even more space, choose our two-bedroom Jackson Hole suites that accommodate up to 8 people. With 2 floors, these are the most accommodating in our options for lodging in Jackson Hole lodging, offering a king size bed in master bedroom, 2 queen size beds in second bedroom, queen sleeper sofa in living room, 2 1/2 baths, tub, shower, washer/dryer, full kitchen (with coffee maker, dishwasher, garbage disposal and microwave), fireplace, private deck, wireless Internet access, remote cable LCD TV/DVD Player and direct dial phone with data port. A 1 nights room charge deposit is required to guarantee a reservation. The balance is charged prior to departure. If the reservation is canceled at least 14 days prior to your arrival date, a fee of $15.00 will apply. If the reservation is canceled within 14 days prior to your arrival date, the deposit of 1 nights room charge is forfeited. Jackson Hole Lodge a non-smoking facility. Pets allowed in certain lodge rooms. Maximum weight is 50lbs and a maximum of 2 pets per room. There is a $20.00 per pet, per night fee. Please contact the Front Desk at (307)733-2992 to inquire about the full pet policy. If your time of arrival is anticipated to be later than 10:00 p.m., please contact the Front Desk at (307)733-2992 to arrange a late arrival check-in.